Here's more great news Shopee-ers. In line with the biggest shopping day in the Philippines, Official Stores of leading brands from Shopee Mall across different categories will take part in this 1-day online shopping festival. Shopee, announces the upcoming Super Brands Festival happening on September 5, featuring the largest collection of deals from top brands on Shopee Mall. These brands will bring users tens of thousands of deals for 24 hours this September 5, Wednesday. 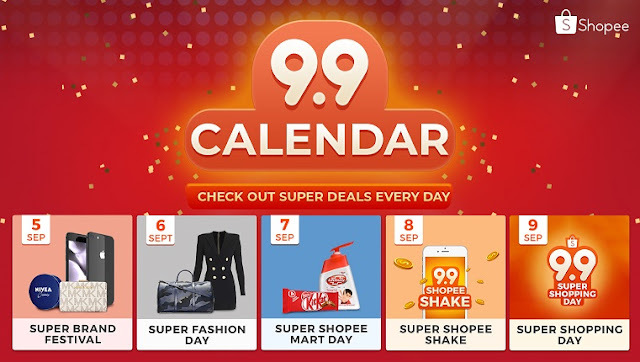 Shopee users can look forward to discounts of up to 80% off, flash deals, over ₱200,000 vouchers to giveaway, and exclusive gifts from their favourite brands. Shopee is the first e-commerce in the Philippines to bring users a premium online shopping experience with the launch of Shopee Mall in April. We have received extremely positive feedback for Shopee Mall so far, and as an extension, will be launching the first-ever Super Brands Festival to bring users even more exciting and exclusive deals from their favourite brands. Super Brands Festival marks a major milestone for Shopee as the most extensive collaboration with our brand partners to date. Coupled with the increased scale of this year’s 9.9 Super Shopping Day, we are positive that our participating brand partners can enjoy extended reach and sales uplift.